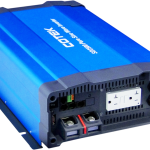 The SR series are pure sine wave inverters designed to convert positive or negative 24VDC and 48VDC power to continuous AC power for Telecom, Datacom, IT and Industrial applications. 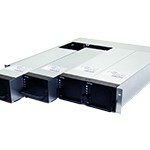 The SR Series delivers clean power from a 1U and 2U, 19’’ rack mount inverter package. Now available is the SR1000 (1000W) model and soon to be launched is the SR1600, a high performance model which offers up to 51.2kW of paralleled power and features hot-swappable modules, scalable racks, and dual inputs (AC/DC operating modes). ATS and AC circuit breaker. when it is needed the most. 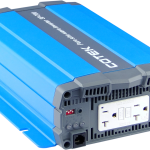 Offering quality pure sine wave output, the SK series stand-alone inverters are ideally suited for electrical systems that already have a quality battery charger. their AC output is capable of handling heavy duty and smaller, multiple AC Loads.